Music Lovr – Movies, Music and More … – What Estonian Traditional Cuisine Delicacies To Savor When In Tallinn? The local taste Estonia has a mix of cuisines from other European countries like Russia, Germany, Scandinavia, Lithuania, etc. Traditional Estonian cuisine is based mainly on potatoes and meat. In the lakeside and coastal areas, people are more used to relishing interesting seafood. Estonian eating habits depends on the seasonal supplies available. Most of their dishes are made using pork, potatoes, rye bread, beer, vodka, and dairy products. If you visit Estonia’s capital city Tallinn, then there are variety of cafes and restaurants, offering authentic local dishes. Tourists can go online and select a nearest Restoranid Tallinnas (Restaurant in Tallinn). 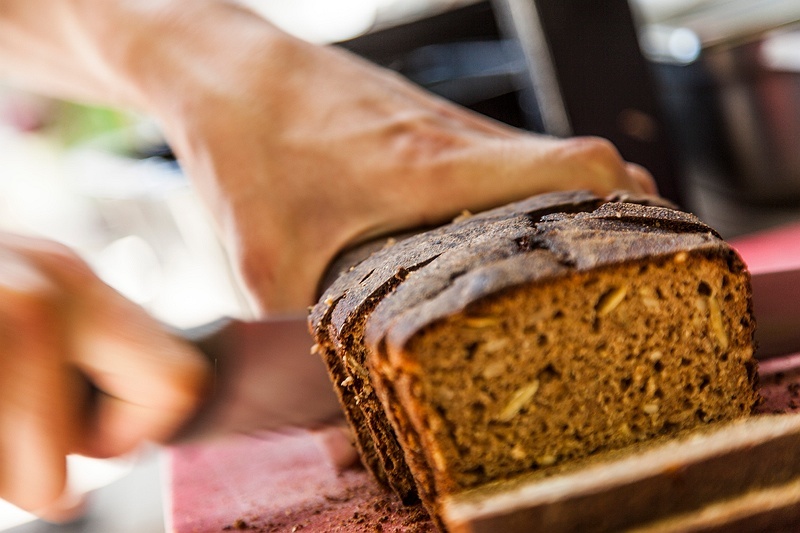 For centuries, bread has been a symbol of luck for the Estonians. Black rye bread has thin crispy crust, which is very healthy. Try some Estonian cheese or full-fat salty butter on freshly baked black bread, which many restaurants prepare using their secret recipes. A 5-course gourmet meal can be enjoyed in Tallinn, at reasonable price. First course includes cold dishes including sausages and meat served with potatoes. Herring is common fish, which is part of traditional Estonian cold table. Raim (dwarf herring), sprats, perch, pike-perch, and Flounder are popular national dishes. Soups are included in the main course (traditional form). It is made of chicken or meat stock blended with different vegetables. Leivasupp is unique kind of Estonian sweet soup. It is made from apples and black bread served with whipped or sour cream as well as seasoned with sugar and cinnamon. Every savory food like the smoky sprats, fresh white bread, shashlik, and every food seasoned with spices & mustard. If you wish then try Estonians traditional blood dishes like the blood bread, blood pancakes, blood sausages, or blood dumpling. Mannavaht, Kohupiimakreem, Kompott, Kissel, Kama, Kringel, and curd snack are popular Estonian desserts. Visit the local farms to obtain pure creative tastes of different invention of curds. During February, a special pastry called ‘Vastlakukkel’ prepared from whipped cream and wheat bun must never be missed. Kali and Mead is a traditional drink. Kali is alcohol-free and similar to root-beer. Today, the locally brewed beer has turned out to be the first preference to accompany food for the visitors. Estonian fruit wines prepared from different berries and apples are consumed widely, but not popular as popular as beer and vodka. Besides milk other dairy products include Pett and Hapupiim (buttermilk variations). If you happen to be in Estonia, during winter then never miss the Christmas feast. Actually, berries are gathered in summer, whereas vegetable, potatoes, grains, fruits, and mushrooms harvested in autumn. These farmed goods and game meats are salted, pickled, smoked, and preserved in pantries to be used in winter. Christmas feast is hearty and provides you warmth and energy needs in the cold season. Christmas feast includes jellied head cheese, blood sausage, pork, sauerkraut, and oven-roasted potatoes. Special bread and ginger bread is baked in Christmas. Other Christmas treats to be enjoyed are mandarin oranges and apples. You can visit Tallinn restaurants to experience Estonia’s Christmas food taste. Robert Wolf is the author of this article, and he often writes blogs on different types of cuisines across the globe. He recommends Maikrahv restoranid Tallinnas to taste the authentic Estonian delicacies.